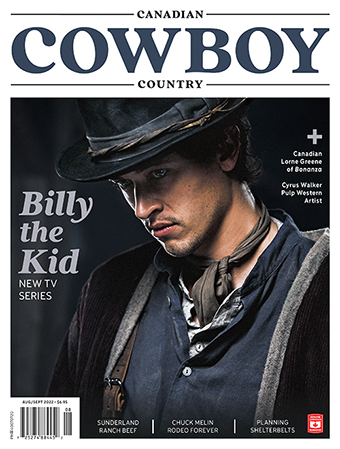 Bill Miner created an enduring legend that grew up around one of the Old West’s most unusual outlaws. Credited with coining the phrase “Hands Up” he was known far and wide for his genteel manners and apologetic demeanour. He was the first man to rob a train in Canada. Born around 1842 in Bowling Green Kentucky the son of a schoolteacher and a mining engineer, he headed West while still in his teens in search of adventure. A superb horseman, Miner drifted out to New Mexico and signed on as a dispatch rider for General Wright during the Apache war. Earning up to twenty-five dollars a letter in this risky endeavour young Bill became quite a big spender and soon turned to robbing stagecoaches to support his lifestyle. While plying his trade in California Bill was the first bandit to adopt the phrase “Hands Up.” Soft spoken and polite even while committing armed robbery, he would often apologize to passengers for any inconvenience. 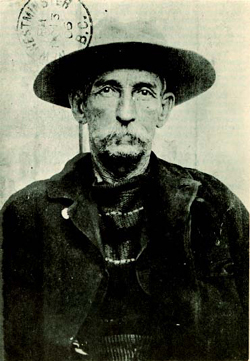 Bill Miner was first arrested on April 3, 1866, convicted on two counts of robbery and sentenced to four years at San Quentin. Over the next thirty-five years Miner spent a total of 29 years and seven months behind bars, was released twice and escaped five times. When he was out, he lived the life of a gentleman quickly blending in with affluent society. He was linked to stagecoach holdups and train robberies throughout the West and was once referred to by WM Pinkerton as “the master criminal of the American West.” Miner was released from San Quentin for the third time in 1901. He was known to have taken part in one train robbery near Portland in 1903 and drifted North into British Columbia shortly afterwards. Using the alias George Edwards, Miner travelled Southern British Columbia, buying and selling cattle, prospecting a little, and visiting with his brother Jack Budd who lived near Princeton. He became well known in the business and ranching community and travelling frequently as he did no one noticed when he disappeared occasionally. On September 10, 1904 at Silverdale British Columbia Bill Miner, along with Shorty Dunn and Louis Colquhoun stopped the CPR #1 and pulled off Canada’s first train robbery. Months of careful planning netted the gang $7,000 in gold dust, over $900 cash and fifty thousand dollars in railway bonds. They slipped across the Fraser River by boat to their horses and rode a few miles upstream to Chilliwack. The next morning policemen and posse spread out along the border to search for the train robbers. Meanwhile George Edwards, the cattle buyer, was having breakfast and discussing the news with a pair of CPR Detectives in a Chilliwack restaurant. May 8, 1906, the CPR train “Imperial Limited” was held up near Kamloops, B.C. by the Bill Miner gang, netting $15.50. The gang escaped on horseback but were pursued by Constable William Fernie and his four First Nations trackers; Alex Ignace, Eli La Roux, Michel Le Camp and Philip Toma. 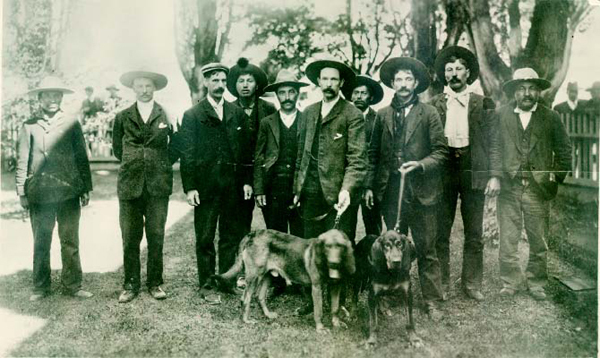 Together they tracked the fleeing train robbers for five days, and the Royal North West Mounted Police were able to successfully capture the bandits near Douglas Lake. Caption information from the new book; Interred With Their Bones-Bill Miner in Canada by Peter Grauer-available May, 2006. George Edwards carried on as before buying and selling cattle and horses, occasionally working as a ranch hand. Never short of cash and often on the move, he was well known and well liked in Princeton Kamloops and the Nicola valley. On October 6, 1905, Bill Miner robbed the Overland Limited just outside Seattle. George Edwards had been working at Douglas Lake a little before that, or maybe he was at Princeton… When a fellow moves around a lot, no one notices when he comes and goes. But whenever a train gets robbed, the Pinkerton Detectives notice. From 1901 to 1906 there where several train robberies in several states throughout the U.S. attributed to Bill Miner but the Pinkertons could find neither hide nor hair of him. On May 8, 1906, eighteen miles East of Kamloops, Bill Miner robbed the CPR for the second time. He was looking for a huge shipment of cash and gold collected for the San Francisco earthquake relief. I guess old Bill figured after all those years in San Quentin; he was entitled to some of that money too. Unfortunately for Bill, Shorty, and Louis, they stopped the wrong train, got away with only a few dollars and to make matters worse, somebody turned their horses loose. Attempting to escape on foot it wasn’t long before they were rounded up. Bill Miner — last of the old time outlaws.